The green hut is the traditional placement where exchange of rows and the signature of civil status registers. 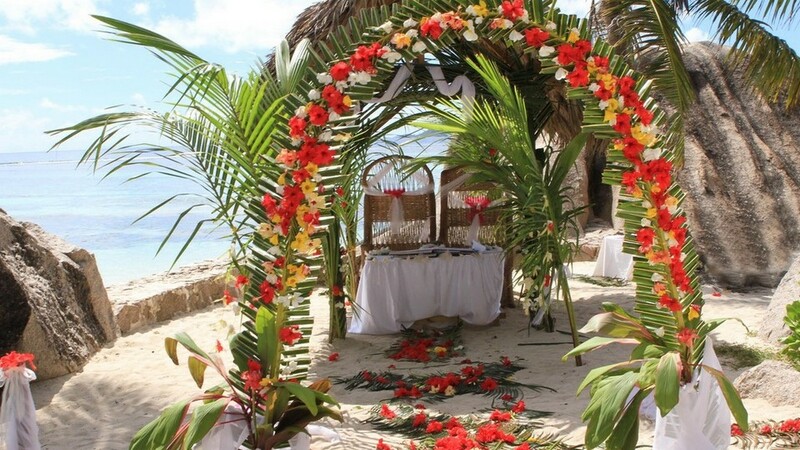 At Anse Source d’Argent, Danny provides you with small local hut fully decorated, ready to wel come the groom and bride, the two witnesses and the civil status officer. At the request and as quotation, he can also provide a local hut much more important on the beach or at any other venue. After some email exchange with Danny, you only have to book your flight and your hotel or your guest house. Danny will take charge of all your concerns regarding your wedding. Either you choose his inclusive offer or your wish for other options on quotation, he still listen to you and is at your service so that you only share the unforgettable moment between you two or ,with your relatives or friends. The ox-cart decorated under the supervision of Danny (service included). © 2017 Dream La Digue. All rights reserved.